Blogging is a business that is booming in the current climate, and it is expected to climb even further as the world begins to move online. 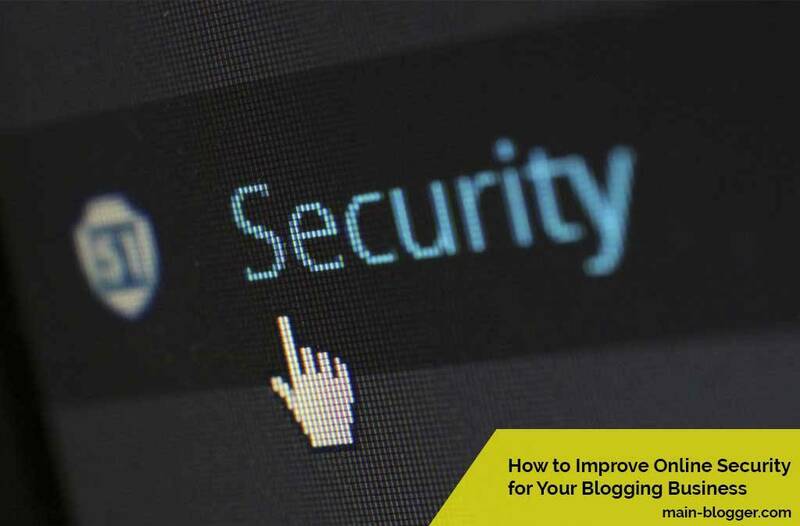 Whether you are blogging by yourself, or you contract out a team of trusted writers to help you, you will have encountered security issues at some point in your business timeline. In order to provide a safe working environment for your remote bloggers and yourself, you will need to follow a number of online security measures. Finding a place to start can be difficult, especially if technology isn't your strong point, but there are a few simple tips to help you get started on your way to more secure blogging business. Using a cloud-based system is the best way to make sure your bloggers are all working in the same place, and that they can store it all without worrying about it being lost. Yet, however efficient it may be, it can pose a whole host of new security issues that you don't meet your everyday computer system. As a starting point, you can improve cloud security by making sure your data is encrypted, and that any sensitive information is kept offline. If you are storing a lot of your work in the cloud, then it's wise to think about having cloud security software to ensure hackers don't get in. Having apps for cloud security is a great start, but it is better to control who accesses you blogging material from the comfort of your computer chair. Having an IAM service such as the one Simeio offers means that you can ensure it is only your writers who are accessing your system, and that any intruders will be kept out. Not only does it add an extra layer to cloud security, but it makes it much easier for you writers to access all the material they need, and deposit the blogs due for deadline day. When you have a team of bloggers scattered throughout the area, it is best to pay them using an online payment system such as PayPal. This allows people to pay others from anywhere in the world, but there have been security problems with it in recent years. Making a move to other online payment systems may be a better decision for your business security, and there are several out there to choose from that will fit your requirements the best. Carrying out the best technical measures will put your blogging business on the best track to being secure, but you can improve this further by encouraging safe practices with your writers. When they first join your team, it's best to include a security section in your writing manual, which will mean they are aware of what they can do from the outset. If any problems start to occur with sensitive data being shared online, you can send out friendly reminders about the code they should be following when working with you.